You must be a member of the Munich Epicureans Group to attend this activity. Would you like to join this group? Hello Epicureans, I'm Alessandro, I'm a sommelier and recently arrived in Munich from Italy. I love sharing my passion for Italian wines and invite you to join me exploring the Slow Wine tasting which will be held in the Enoteca at Eataly on Monday 4th February. The tasting will open to wine lovers from 5.30pm (I will be there at 6) and finish at 8pm. Over 50 wineries from across Italy will be showcasing their award-winning wines which have been included in the latest edition of the Slow Wine Guide. 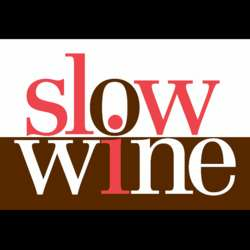 Slow Wine looks to find small to medium sized wineries that have a very authentic approach, respect their terroir, are high quality and excellent value for money. There you will find 2 options: entrance to the walk around tasting and also entrance to a special seminar at 6pm hosted by a contributing editor of Slow Wine (in German). He will present 6 special and aged wines that are the Slow Wine favourites and explain more about the Slow Wine approach to selecting the best gems from Italy. If you decide to attend that, you will still have time to join us at the walk-around tasting part too! Please purchase your ticket before the event to make sure you can get in. All Internations attendees will be provided with a sticker on reception so that we can all be easily recognised.